Restoration of the listed building, additional consulting rooms in an existing mews building and improving accessibility for patients with disabilities. Works included the Georgian timber structure, plaster mouldings, original brickwork, railings and woodwork. 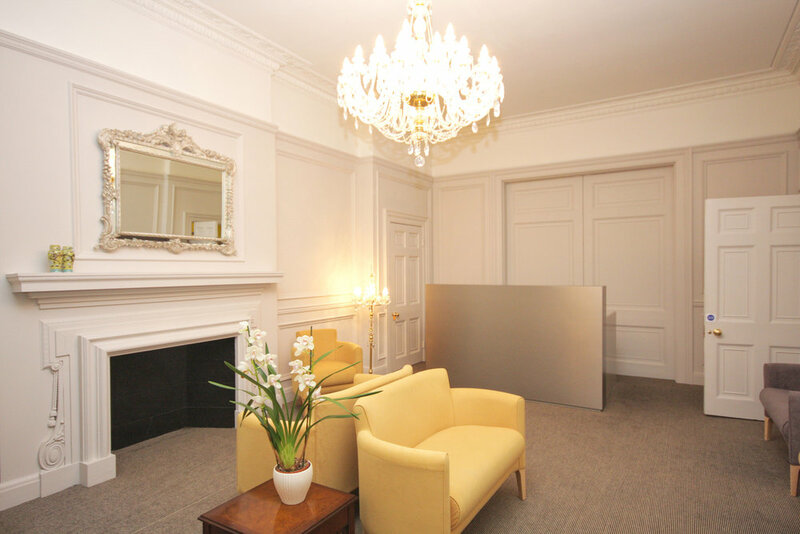 New services were added including a medical lift, air conditioning and flexible systems for electricity and communication to all the consulting rooms. 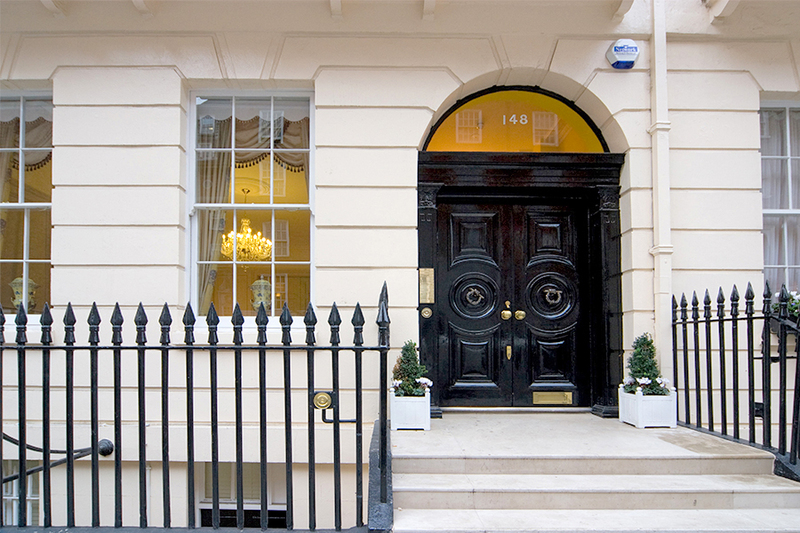 The project was developed in close discussion with The Crown Estate, owner of the freehold of the building who provided a strict schedule of repairs. The decoration was designed with the client's intended use of the house in mind. 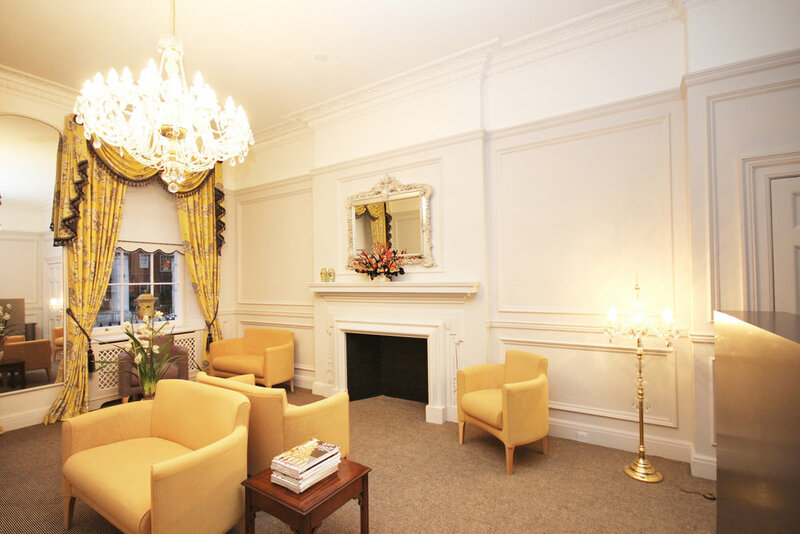 Neutral and calming colours were chosen for the consulting rooms, while the entrance hall and the communal areas were decorated in different shades of more vibrant colours.